Dry Vermouth is a fortified wine flavoured with various dry ingredients such as: cloves, cinnamon, citrus peel , cardamom juniper and ginger. The majority of Dry Vermouth is produced in Italy and France, and major brands include: Martini & Rossi, Noilly Prat and Cinzano. Dry Vermouth is a very important ingredient in the world of cocktails and features in the Manhattan, Martini and El Presidente. The Zanzibar islands are often referred to as the Spice Islands. 49 Nobel Laureates have been associated with Yale University. In 2008 Pernod Ricard announced its acquistion of V&S Group, which produces Absolut Vodka. Crème de Cassis dates back to the 16th century and was first produced by monks in France as a cure for snake bites. 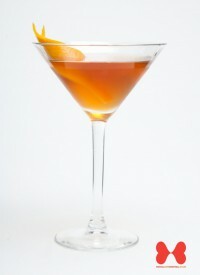 The recipe for Soul Kiss was first found in the 1936 "Just Cocktails" bartending guide. The Vikings were the first "eco-pioneers" as the "long houses" where families lived would have had turf roofs to help keep in the heat. According to A J Rathburns "Good Spirits Book", if you were to skip the Grand Marnier for another orange liqueur such as curacao, the drink would then be called a "Curled Satans Whiskers". In the Middle Ages newly wed couples would plant a branch of rosemary on their wedding day. When whiskey is laid down it is colourless, the colour comes from the casks in which it matures. Shakespeare referred to roses over 50 times in his works. Grapefruits were discovered in Barbados in the 18th century. Rye whiskey that has been so aged for at least 2 years may be designated as "straight rye whiskey". Moro oranges are also called blood oranges because the pulp is bright red. The Nine Inch Nails video for "The Perfect Drug" casts Trent Reznor as a grieving father who drinks Absinthe to escape. The Old Pal first appeared in the 1922 edition of "Harrys ABC of Cocktails" a drinks compendium compiled by the head barkeep in "Harrys New York Bar" in Paris. 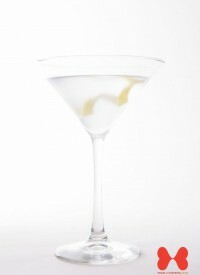 H.L Mencken called the Martini "the only American invention as perfect as the sonnet". The Jagermeister logo, which shows the head of a stag with a glowing Christian cross between its antlers, is a reference to the stories of Saint Hubertus and Saint Eustace, patron saints of hunters. Along with Port Wine, Manhattans frequent many of Jack Kerouacs novels, such as "Big Sur" and "On the Road".